Fly to Bordeaux. We meet you at the airport and take you to your ship. * The rest of the day is yours to relax or explore Bordeaux on your own. 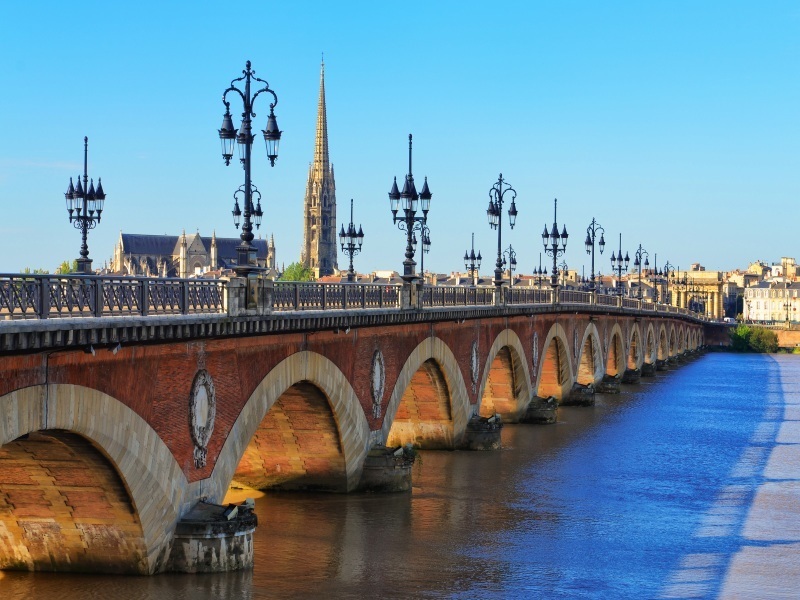 Second only to Paris in French historic monuments, Bordeaux’s thoughtfully preserved 18th-century urban areas make it a desirable film location, and its graceful port on the Garonne River is a UNESCO World Heritage Site. Later this evening, you may want to join an escorted evening walk of Bordeaux. While its monuments are beautiful during the day, they are stunning at night. Begin your day with a walking tour of Cadillac and then head across the river for your excursion to Sauternes. View picturesque landscapes where vineyards blanket the countryside hills and visit a château to learn how their prized wines are made. Enjoy a tasting before returning to your ship. Later this afternoon, take a tour to Saint-Émilion, a UNESCO World Heritage Site, where you see the town’s superb medieval lanes and delightful views of the surrounding vineyards from the upper town. Spend a pleasant afternoon exploring the town’s streets and shops. Enjoy a leisurely morning in Bourg as you take a stroll through the historic village. Or, you may choose to take an optional excursion to the charming medieval town of Cognac, birthplace of one of the world’s best-known types of brandy. Here, you take a tour of the Camus family business, one of the most tradition-steeped Cognac houses in the area, and try your hand at blending. During lunch, your ship sets sail for Blaye. This afternoon, take a guided tour of the extraordinary 17th-century citadel, dramatically set on a rock beside the river. The citadel of Blaye, its city walls and two other forts are collectively listed as a UNESCO World Heritage Site. Relax on board your ship this morning as we sail downstream, passing islands and gentle slopes, arriving in Pauillac in the early afternoon. Enjoy a wine country tour and tasting, including the area’s famous full-flavored Margaux. This evening, travel through the rolling vineyard-laced hills to dinner at a château, accompanied by the château’s own wines. Enjoy a final morning of cruising as we make our way back to Bordeaux. You have the afternoon at leisure, giving you more time to appreciate the well-preserved architecture of Jacques Ange Gabriel and son, and to taste the city’s cuisine and wine appellations. Perhaps pick up a few bottles to take home with you. Alternatively, you may choose from a number of optional excursions. Take a full-day tour to Arcachon, a commune on the Atlantic coast. Enjoy a boat ride along the estuary to Cap Ferret, and taste the oysters, a local delicacy. Perhaps learn how wine barrels are made and enjoy the vintage aged within them on an insightful excursion. Or, participate in a market visit with the Viking Chef to see where the local chefs of Bordeaux find their fruit, vegetables, meats and fish.